1973: Dr. Shirley McGreal, then living in Thailand, became concerned about the conditions under which primates were being captured from the wild, transported, and exploited in captivity. She established the International Primate Protection League to work on behalf of all primates, great and small, worldwide. 1974: The first issue of IPPL News (which was later honored by the BBC as one of the world’s best wildlife publications) was published. 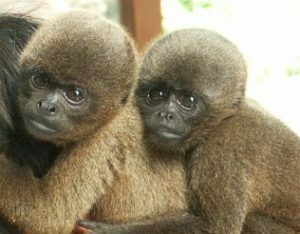 IPPL also exposed a network of smugglers that was shipping gibbons from Thailand to the U.S. and got it closed down, saving hundreds of gibbon mothers from being shot so that their babies could be exploited for profit. 1975: IPPL organized Project Bangkok Airport. Fifty Thai students worked at the airport documenting the dreadful conditions under which all wildlife was being exported. The result was a ban on export of all primates from Thailand, saving thousands of primate lives. 1976: We uncovered “The Singapore Connection,” a network through which legally protected primates were smuggled from Thailand, Malaysia, or Indonesia via Singapore and on to the West with Singaporean export documents. Our campaign resulted in the closing of this cruel racket. 1977: IPPL exposed the terrible fate of rhesus monkeys exported from India to the United States for use in gruesome radiation experiments. Our protests to the Indian press and authorities led India to ban all primate exports, thus saving hundreds of thousands of monkeys from capture and incarceration in laboratories. 1978: After Dr. Christian Barnard killed one chimpanzee in heart transplant surgery, IPPL organized a worldwide protest. A second chimp slated for a heart transplant experiment was rescued and sent to a zoo. Since then, no more chimps have been killed for their hearts. 1979: IPPL exposed the misuse of Bangladesh monkeys in cruel U.S. military radiation experiments. Our protests led Bangladesh to cancel plans to export over 70,000 monkeys. 1980: We took legal action that led to the closing of a U.S. government laboratory in California that was using baby gibbons in fatal experiments. Many of the animals had been smuggled into the U.S. from Thailand. 1981: Following the closure of the California gibbon laboratory as a result of IPPL’s actions, one small, sickly gibbon, who had been reared on a wire “mother,” was sent to live at IPPL’s Headquarters Sanctuary in South Carolina This gibbon, whom we named Arun Rangsi, recovered from the harrowing first years of his life and, when he matured, was successfully paired with Shanti, another former lab gibbon. Arun Rangsi was later joined at the sanctuary by dozens of other gibbons rescued from sad situations, including a number of former research veterans like Igor and Whoop-Whoop. 1982: IPPL exposed the U.S. military’s horrific biological warfare experiments on primates and started a campaign to persuade countries that were supplying monkeys to U.S. labs (including Malaysia and Indonesia) to ban primate exports. 1983: IPPL’s Belgian representative Roland Corluy infiltrated the operations of the Belgian smuggler George Munro and found a cache of endangered primates, including bonobos, in the animal dealer’s basement. We publicized this situation worldwide. The bad publicity led Belgium to establish laws banning wildlife trafficking. 1984: We successfully fought plans by three U.S. zoos to import seven wild-caught gorillas from Cameroon. These animals were being offered for sale by the Miami animal dealer Matthew Block. In addition, after years of IPPL protests about the misuse of Malaysian monkeys in military research, Malaysia banned monkey exports. 1985: IPPL secured the release to a sanctuary of four chimpanzees sent to a lab run by toxicologist Fred Coulston after their circus trainer died. 1986: IPPL Field Representative Bernadette Bresard exposed a Japanese lab that was keeping monkeys in metal restraint chairs in a basement; our protests led to the monkeys’ being removed from the chairs. In addition, following the murder of IPPL member Dian Fossey, IPPL raised funds to help continue Dian’s crusade to protect her beloved mountain gorillas from poachers in Rwanda. 1987: IPPL investigated the smuggling of three baby gorillas from Cameroon to Taiwan. Only one baby arrived alive. Our exposé led to prosecutions of the criminals in several countries. As a result, the ringleader of the smuggling gang, Walter Sensen, was expelled from Cameroon and later imprisoned in Germany. 1988: IPPL investigated the conditions of primates living in Cuban zoos. In addition, IPPL Founder Shirley McGreal won the prestigious Jeanne Marchig Award for her efforts to protect primates around the world. 1989: IPPL uncovered “The Polish Connection,” by which animals were being smuggled into Polish zoos and then re-exported with false “captive-born” documents to the West. As a result, Poland stopped these activities and joined the Convention on International Trade in Endangered Species. 1990: Six smuggled baby orangutans were confiscated at Bangkok Airport when their cries were overheard by airport personnel. IPPL identified the leader of the smuggling gang responsible for this cruel act as Matthew Block of Miami. We requested a U.S. government criminal investigation of the “Bangkok Six” case. IPPL’s investigative work also led to the jailing of the German gorilla smuggler Walter Sensen. 1991: We learned that two baby gibbons were on sale at a market in the Philippines. Our protests led to the animals’ being returned to Thailand. At IPPL’s Headquarters Sanctuary, we accepted a baby gibbon named Beanie, who was blind and suffered from epilepsy as a result of an encephalitis epidemic in Florida. He lived at IPPL’s sanctuary, receiving special care daily, until his death in 2004. 1992: An IPPL team testified before a congressional committee about the U.S. government’s failure to prosecute Miami wildlife smuggler Matthew Block. Block was indicted for orangutan smuggling, following a protest campaign by IPPL. On learning that the U.S. government had offered him a misdemeanor plea-bargain, IPPL members flooded the judge with protests. The judge rejected the plea deal and sent the animal dealer to 13 months in prison. In addition, IPPL Founder Shirley McGreal was chosen for the United Nations Global 500 Roll of Honour for Environmental Achievement. 1993: IPPL’s undercover eco-detectives filmed the illegal trade in wildlife in the street markets along the borders of Vietnam and China. The film footage of tortured gibbons, monkeys, and other animals was provided to the media. 1994: We learned about the presence of nine chimpanzees in pet shops in Saudi Arabia. Following a letter-writing campaign by IPPL supporters, these animals were confiscated and sent to Riyadh Zoo. 1995: IPPL uncovered a Pakistani gang that was smuggling endangered primates (including gorillas) from Nigeria to the Philippines. Sadly, a confiscated baby gorilla died, but two drills were returned to an IPPL-assisted primate sanctuary in Nigeria, run by the Pandrillus Foundation, for rehabilitation.  1996: IPPL ran a fundraising campaign for the Limbe Wildlfe Centre in Cameroon, which houses gorillas, chimpanzees, and monkeys rescued from the trade in bushmeat and pet primates. In addition, when Maui Zoo in Hawaii was closed down due to violations of the Animal Welfare Act, IPPL accepted three of the zoo’s gibbons (Jade, Palu-Palu, and Maui), who came to IPPL’s sanctuary accompanied by boxes of pineapples. 1997: IPPL learned that hundreds of monkeys from Indonesia had reached Chicago Airport and that the shipments contained pregnant monkeys, nursing monkeys, and baby monkeys three to four weeks old, in violation of U.S. law. As a result of IPPL’s campaign, the company, its president, and two officials were indicted, and the company was eventually fined $500,000. 1998: Among the rescued primates to arrive at Cameroon’s Limbe Wildlfe Centre was Pitchou, an orphaned baby gorilla who was in appalling condition, her body covered with ringworm patches. 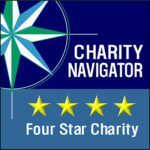 IPPL raised over $35,000 to help the sanctuary care for Pitchou. She survived the trauma of her young life to become a healthy and happy adult member of her sanctuary’s gorilla family group. 1999: IPPL worked with the grassroots Indonesian animal protection group KSBK (now known as ProFauna Indonesia) to block the export of dozens of proboscis monkeys brutally poached from an Indonesian nature reserve and sent to Surabaya Zoo, where many of them died. Five of the surviving monkeys were returned to the wild. 2000: IPPL investigated a shipment of 12 black-and-white colobus monkeys smuggled from Tanzania to Thailand, where five of the monkeys died. 2001: IPPL organized an international protest over the cruel drowning by Egyptian authorities of a baby gorilla and baby chimpanzee smuggled from Nigeria into Egypt. The babies were submerged in a vat of chemicals. Our protests led EgyptAir to ban further primate shipments. 2002: IPPL learned that four baby gorillas had reached Taiping Zoo, Malaysia, from Ibadan Zoo in Nigeria, on documents falsely claiming that the animals were captive-born. IPPL publicized the plight of these gorillas, whom we named the “Taiping Four.” Our campaign led to the confiscation of the gorillas by Malaysian authorities. 2004: IPPL inspected a dreadful zoo on the 6 th and 7 th floors of a noisy department store in Thonburi, Thailand. Among the hundreds of animal prisoners were gorillas, orangutans, chimpanzees, gibbons, and monkeys, all living in filth. A fire some years earlier had burned many captive animals there. IPPL started a campaign to close this miserable facility. 2005: A baby orangutan was discovered at a pet shop in Riyadh, Saudi Arabia, by a Saudi lady who in turn informed IPPL. We asked our members to send protest letters to Saudi authorities. As a result, the government confiscated the young ape. 2006: IPPL constructed new gibbon housing on five acres of newly-acquired land at our Headquarters Sanctuary in South Carolina. 2007: IPPL celebrated the return of the Taiping Four gorillas to a sanctuary in their native Cameroon. They had been smuggled via Nigeria and South Africa to a Malaysian zoo. IPPL had worked with various allies since 2002 to have the animals re-homed. 2008: IPPL Founder and Executive Director Shirley McGreal was presented with the Order of the British Empire “for services to the protection of primates” by Queen Elizabeth II at a ceremony held at Buckingham Palace. 2009: IPPL arranged to have a Nepalese mountaineer summit Mount Everest, where he unfurled a banner reading “Stop the Monkey Business! Don’t export Nepali monkeys to American labs.” Three months later, the Nepal government announced a decision to release 300 captive rhesus monkeys from an export facility and to maintain Nepal’s longstanding ban on exporting its native primates. 2010: We accepted a fragile, elderly female gibbon named Rosie for care at our Headquarters Sanctuary in South Carolina, after she retired from a zoo. She had been born in the wild and may well have been among the animals shipped to a California lab that was importing smuggled gibbons in the late 1970s, a case that IPPL investigated. Sadly, she passed away from ovarian cancer after only a month at IPPL, but she lives on in our hearts. 2011: IPPL had been collaborating with Wildlife Watch Group in Nepal since 2006 on protecting that country’s native rhesus monkeys. After great success in putting a halt to two proposed “monkey farms,” WWG unveiled plans to establish Nepal’s first-ever wildlife sanctuary, to be named in honor of IPPL’s founder, Shirley McGreal. 2012: In June we celebrated the 25th anniversary of the arrival of former lab gibbon, Igor, to IPPL’s Headquarters Sanctuary. He had previously spent 26 years in research, where he had acquired the habit of biting himself whenever he caught sight of another gibbon. As a result, he had to live behind black Plexiglas. Since coming to IPPL, he has not bitten himself once. 2013: In November we learned that the new Malaysian Minister for Natural Resources and Environment had suspended the massive culling of his nation’s monkeys (a program that had already claimed the lives of nearly 200,000 wild macaques) after he received petition signatures gathered by IPPL. In addition, to mark IPPL’s 40th anniversary year, we invited three orangutan advocates to give a free public lecture in downtown Charleston as part of the “Hang Out for Orangutans” World Tour. 2014: The IPPL sanctuary welcomed a former pet named Spanky into our extended gibbon family. He was only eight years old, and all four of his canine teeth had been removed. His owners told us that, due to their health problems, they could no longer care for him. We said we would take Spanky in after his owners agreed to sign a statement indicating they would never accept another primate as a pet. After his arrival in May, Spanky quickly became one of our most dedicated singers. 2015: IPPL continued its program of small grants to overseas rescue centers, including Kalaweit, a mainly-for-gibbons sanctuary in Indonesia; Wildlife Friends of Thailand, which cares for gibbons, monkeys, elephants and much more; The Little Fireface Project, which works to protect and rescue slow lorises; the Fundacion Entropika in Colombia, which fights the illegal trade in night monkeys; and the J.A.C.K Sanctuary in the Congo Republic, which rescues and cares for chimpanzees. And over 23 others! 2016: This year IPPL welcomed two new gibbons to our sanctuary. Dorothy, a petite, white-handed gibbon, arrived in February from a northern zoo. She had lived at the zoo for 40 years . After her mate passed, the zoo decided to retire Dorothy to the peaceful surroundings of our sanctuary and the company of other gibbons. In June, Paen, also a white-handed gibbon, came from a zoo in the northwest. She and her sisters, had been in zoos for most of their lives and had been companions the entire time. Since her sisters passed, Paen was alone, so like Dorothy, the zoo asked us to take her. Both gibbons have adjusted beautifully and have added two more voices to our gibbon choir!